In Shanghai on Tuesday we announced that with strong support of CETC and Microsoft, CMIT, our joint venture has now developed Windows 10 China Government Edition for China government customers and Lenovo will be one of the first OEM partners to preinstall Windows 10 China Government Edition; introduced the most versatile laptop — the new Surface Pro — with up to 13.5 hours of battery life; revealed the new Surface Pen, twice as accurate as the previous version with more fluid writing, drawing and tilt; celebrated the launch of Microsoft HoloLens in China; and shared that Project Scorpio will launch in China later this year. The new Surface Pro brings the creative power of Surface Studio to a mobile form factor with a new hinge that takes the device nearly flat, creating the optimal angle to write or sketch with the Surface Pen. 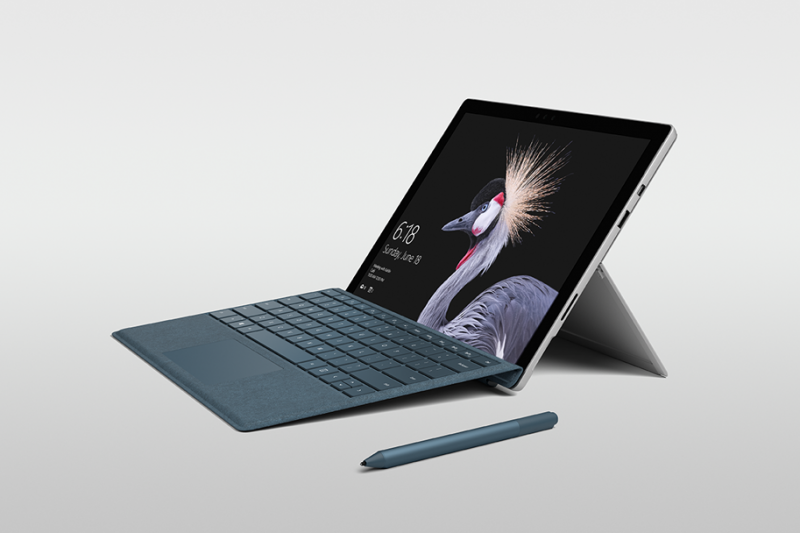 The new Surface Pro was designed from the inside out to bring more power and up to 13.5 hours of battery to a refined version of our iconic design. The new Surface Pro offers uncompromised power and flexibility, all-day battery, enhanced inking with a new Surface Pen and on-screen Surface Dial functionality. Surface Pro Core i5 and i7 SKUs are lighter, with the same thin iconic design. The core m3 and i5 models are fanless. This required amazing engineering innovations to ensure we delivered a device with the right thermals that can still deliver on power. The new Surface Pro is the most versatile laptop we’ve ever built. It takes the category it pioneered and pushes it a meaningful step forward. Office apps now include a customizable gallery for your favorite pens, pencils and highlighters, which automatically roams with you across apps and devices. This means your personalized inking tools stay handy wherever you work. Ink editor makes your pen a more powerful document editing tool. Strike through words to delete them, circle text to select it and automatically snap highlighter ink to text. The pencil texture and ink effects like rainbow, galaxy, lava, ocean, gold, silver and more are coming to Word, Excel and PowerPoint. This helps you showcase your creativity in new ways with drawing and writing that pops off the page. Ink Replay lets you rewind and replay ink to really help you understand what’s behind it. For example, you can follow a sequence of handwritten notes and drawings, review step-by-step instructions, or see the order in which somebody else marked up the document. Future inking innovation will be coming first to the Microsoft Whiteboard app on Windows 10, such as collaborative inking, geometry recognition, table conversion and automatic table shading. Whiteboard is currently available in private preview on Surface Hub, and our vision is to bring it to more Windows 10 devices later this year with exclusive capabilities for Office 365 subscribers. Outside the Microsoft event in Shanghai on Tuesday, May 23, 2017. Corporate Vice President Panos Panay for Surface reveals the new Surface Pen at the Microsoft event in Shanghai on Tuesday, May 23, 2017. Corporate Vice President Panos Panay for Surface reveals the new Surface Pro at the Microsoft event in Shanghai on Tuesday, May 23, 2017. Terry Myerson, executive vice president for Windows, shares Project Scorpio availability update at the Microsoft event in Shanghai on Tuesday, May 23, 2017.